Maldives is known for luxury resorts, white beaches, blue sea and green vegetation. 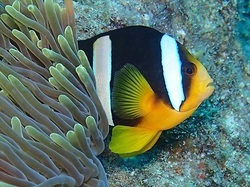 The coral reefs are home to more than 1500 fish species and other animals, making the reefs some of the best sites in the world for diving and snorkelling. 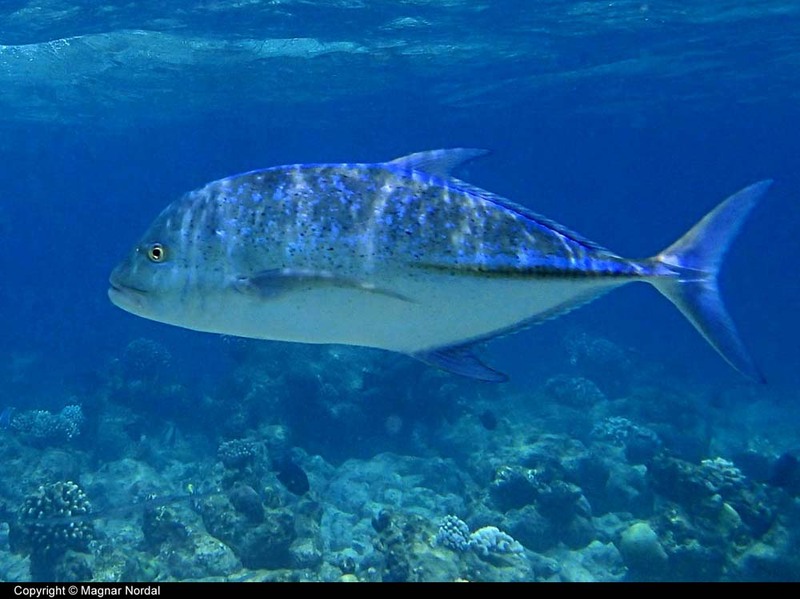 This website is not a scientific reference, but is ment to share my experiences when diving and snorkelling in the Maldives. 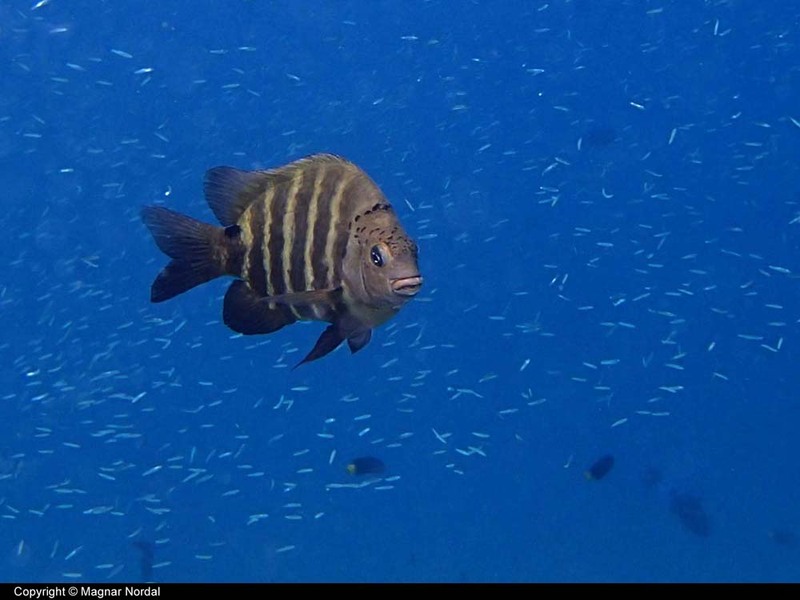 You will find more than 200 fish and animal species, and the list is growing for every dive and snorkeling trip. 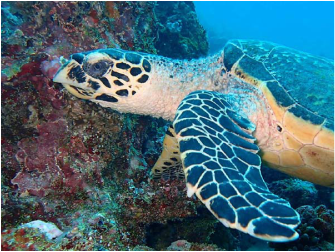 You will also find general information about diving and snorkelling, together with useful references. Enjoy - and tell your friends! New blog: Portraits. 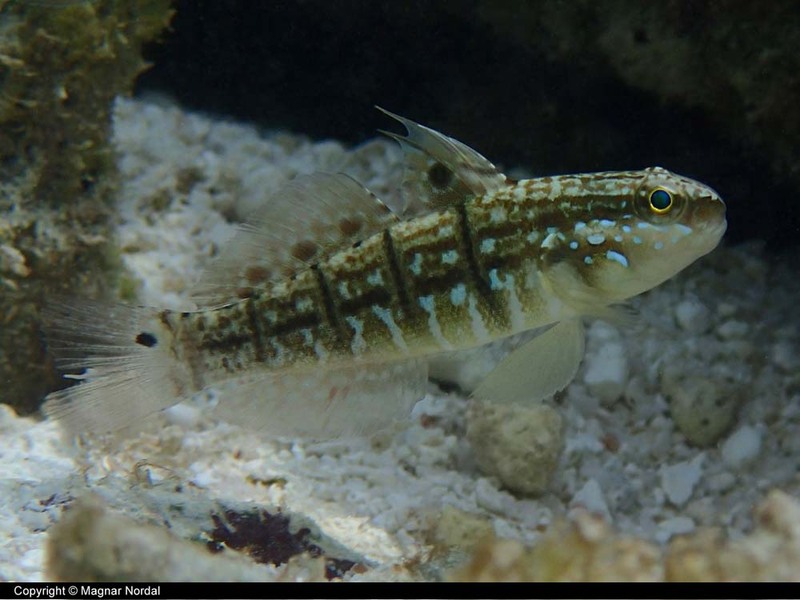 This is a Blacktip Grouper. 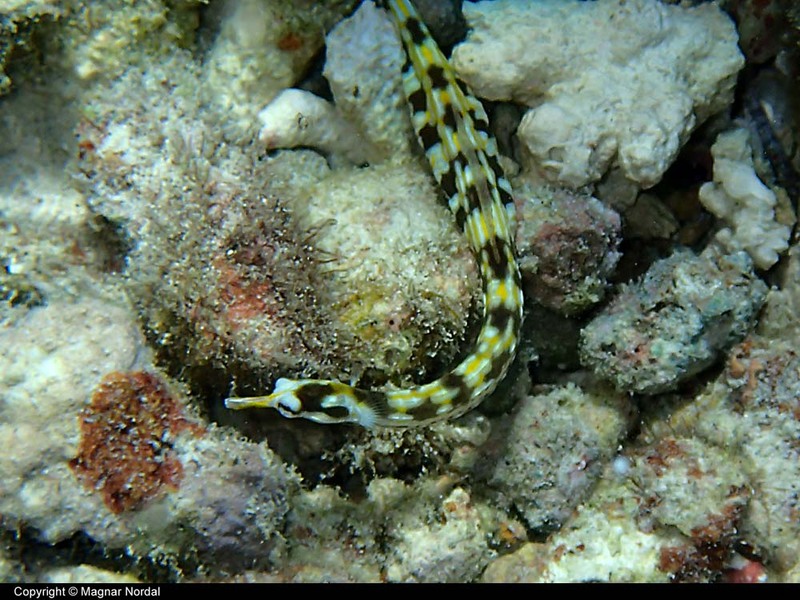 Yellowbanded Pipefish. This is a male. Pipefishes are special because the female deposits her eggs in a pouch under the male's belly. Black-spot Sergeant and a myriad of small fishes. 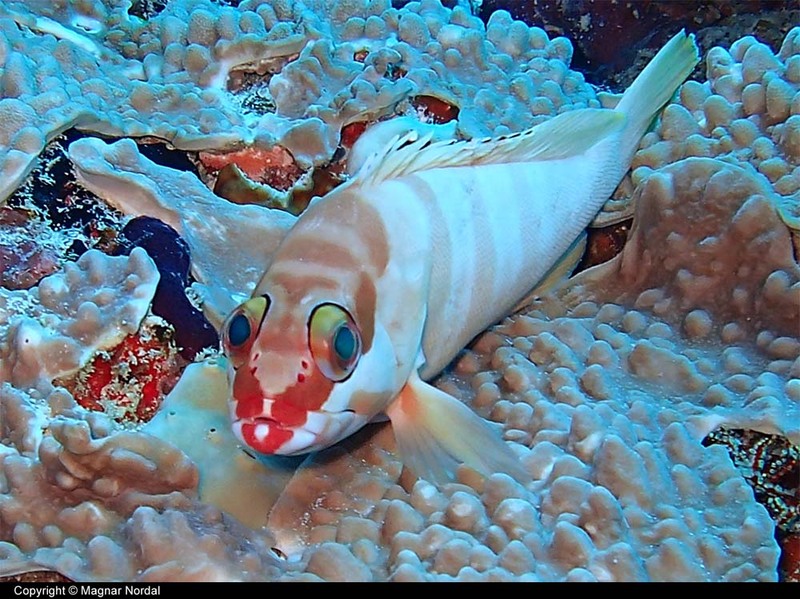 A male Whitebarred Reef-Goby. It is common in silty lagoons, but because of it's small size is it often overlooked.